I’m just a guy who likes pinball. There’s something awesome about pinball that can’t be replicated in video games. The vibrations and physicality you feel every time that heavy steel ball gets flung around. The way the incandescent lamps light up the playfield. I took the plunge and bought my first machine in early 2011. By the end of the year, my collection had already grown to four machines. 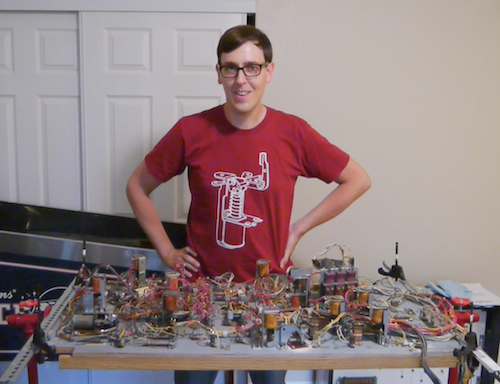 This site chronicles my efforts to learn how to fix, maintain and restore pinball machines.